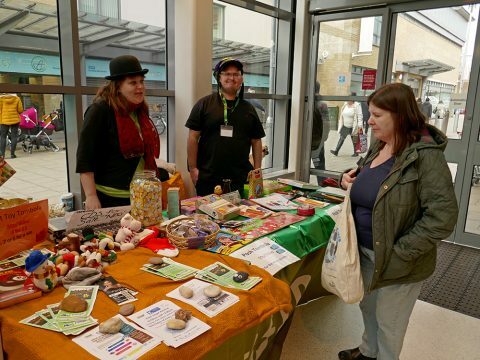 On Wednesday 12 December, Marina, Mandy, Jay and Hilde set up stall at Sainsbury’s to share information on what the Friends of do. 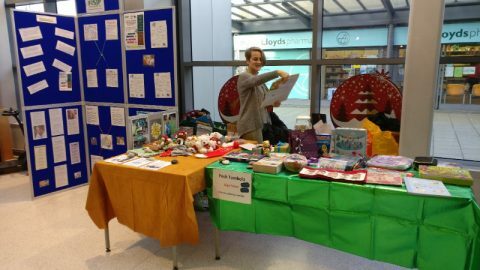 We also had a tombola, which Sainsbury’s were great and donated gifts towards. 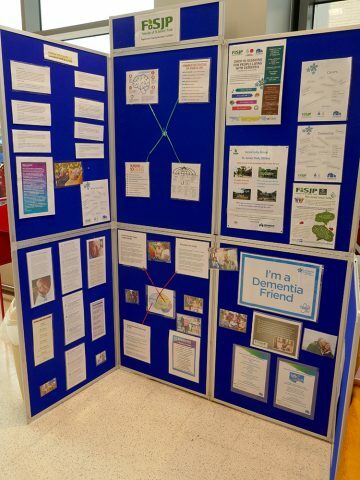 We spoke to a lot of people, handed out flyers and had a great time on our stand! 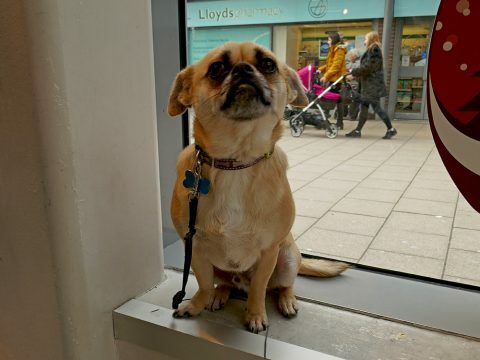 Jay’s little dog, Blue came along too and proved a big winner with the shoppers too! After a well‑earned rest over the festive season, regular activities will soon be resuming in St.James’ Park. Keep an eye out here and on our Facebook page for news of more happenings in and around the Park in the coming months! Best Wishes for the Festive Season from FoSJP! As another busy year for FoSJP and St.James’ Park draws to a close, it’s almost time for a well‑earned rest over the festive season. 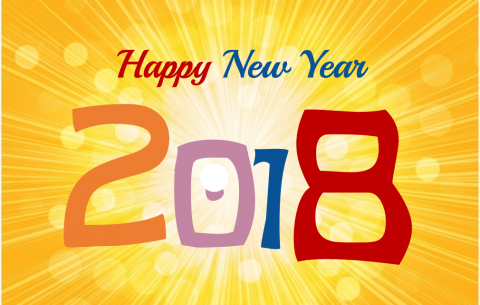 Look out for news of more happenings in and around the Park in the New Year. Won the Southampton Green Open Spaces Award 2006 (September 2006). Won the Outstanding Park Event 2007 award for Park100 (October 2007). Received a Certificate of Congratulation from the Mayor of Southampton, in recognition of achieving the Heritage Lottery Fund grant (November 2009). Website shortlisted in two categories for 7th Hantsweb Awards (January 2010). Took second place at Southampton City Council’s Green Spaces event (November 2010). Won first prize in the Hampshire and Isle of Wight section of the South East Community Empowerment Awards 2010 (November 2010). St.James’ Park has been awarded the prestigious Green Flag Award five times (July 2012, July 2014, July 2015, July 2016, July 2017). 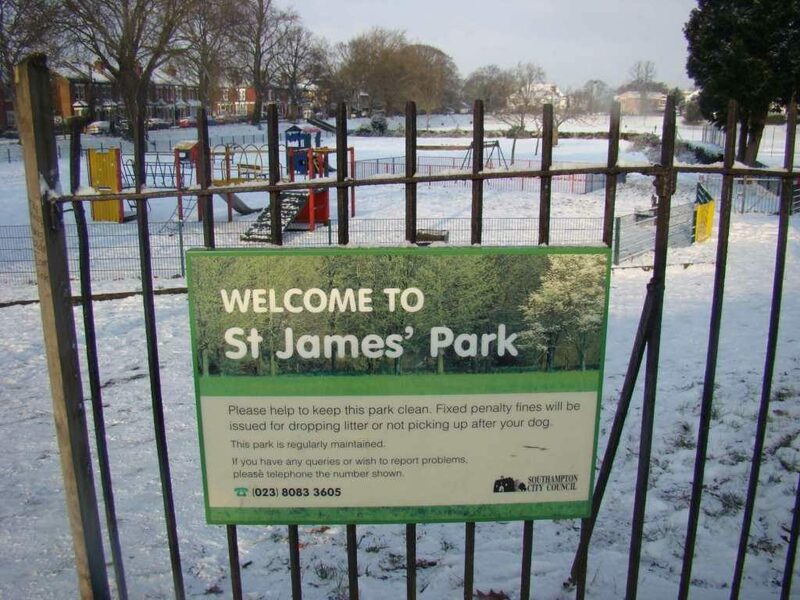 St.James’ Park was a nominated finalist in the National Lottery Awards 2013, making it through to the top seven projects in the Environment category. Visit our Awards page for more details and pictures of these awards. Won a grant from BBC Breathing Places to put towards encouraging native flora and fauna in the Park (2007). Submitted a pre-application to the Heritage Lottery Fund (HLF), and used the HLF-provided funds provided to employ Parklife to put together a bid for full HLF funding (May 2008). Won backing from the Parks for People scheme backed by the Heritage Lottery Fund, with an initial award of £64,500 to further develop plans for an improvement scheme totalling £1.5 million (October 2008). Won a grant from the Heritage Lottery Fund of £1.1 million, plus a ring-fenced £400,000 fromSouthampton City Council, making a total of £1.5 million to make significant improvements to the Park and its facilities (October 2009). Won a grant of £1000 from Sport Relief to buy sporting equipment for borrowing from the ParkLife Community Café after completion of the restoration and improvement works in the Park (May 2010). Container port operator DP World Southampton very kindly donated £20,000 to help fit out a commercial catering kitchen for the ParkLife Community Café (July 2010); this was augmented by £2500 from the Development Trusts Association (now part of Locality). Won a grant of £39,000 over 3 years from Lankelly Chase to pay for a 3‑year project to help local residents participate in a variety of activities in the Park. Was awarded £1000 of Sport Relief funding from the Hampshire and Isle of Wight Community Foundation to start up a youth group for local young people with autism (May 2014), and was awarded further Comic Relief funding, also through the Hampshire and Isle of Wight Community Foundation, to allow the group to continue operation for another year (December 2014).